Glick Miller Musings: We'll miss you, Grandma! 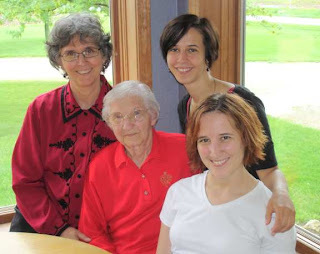 We found out today that my last grandparent, Edna Liechty, died this morning. 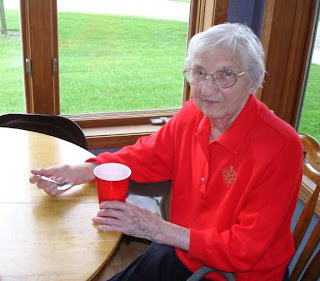 My dad wrote: "Helen's Mom Edna Liechty, died this morning (Thurs) at the nursing home in Berne. She was basically unresponsive the last hours and died peacefully from what Helen said." I believe that my mother and an aunt were both there with her when she died. We love and will miss her.